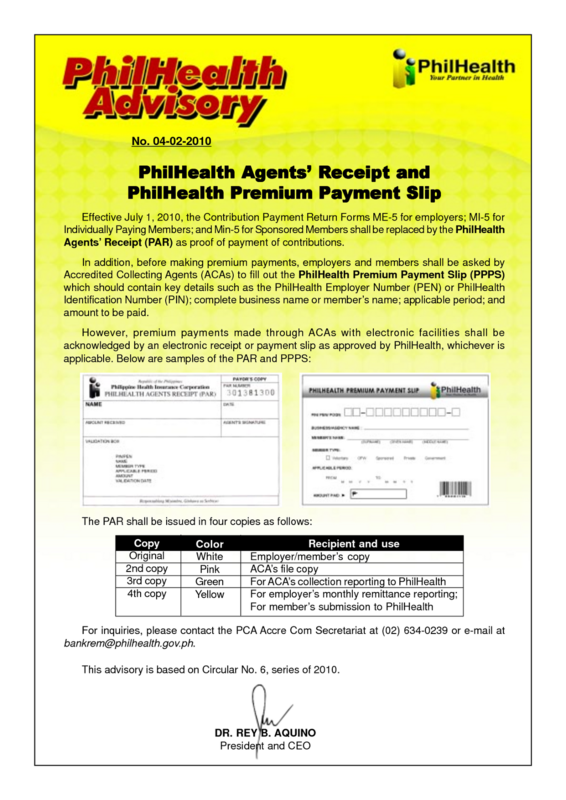 For employers and PhilHealth members who are paying their premium contributions or remitting their payments through accredited collecting agents of PhilHealth, the PhilHealth Premium Payment Slip is now downloadable. 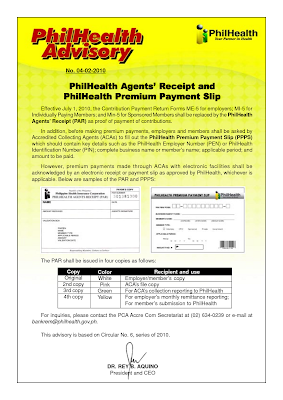 The PhilHealth Premium Payment Slip is currently being used by accredited collecting agents. The employer/member would need to fill-out the slip, present the slip and the payment to the agent. You should ensure that the slip is properly filled-out as the details you have reflected will be recorded in PhilHealth's database. To avoid the long lines and ensure availability of the form, PhilHealth is now allowing access to the form in softcopy format. You may download the PhilHealth Premium Payment Slip here. GOOD DAY, ASK KO LANG PO. WHAT IF NAKA REGISTER PO AKO NOONG MAY 2011. TAPOS HINDI KO PO NABAYARAN HANGANG NGAYON. PA ANU YUN? THANK YOU.